Cohen’s lifetime goal has been to integrate the study and practice of acting in realistic dramas with performing in the great range of drama – from tragedy to farce, prose drama to verse and music theatre, and the classical past to the contemporary avant-garde. 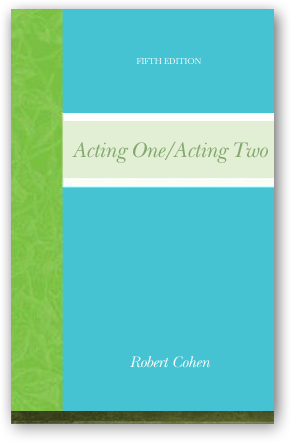 To this end, Cohen has united the fifth edition of his Acting One, long the leading acting text in the United States (now also translated into Korean and Hungarian), which explores the basic task of interacting, essentially as oneself, as if in approximately real-life environments, in concert with Acting Two: which concerns acting, often as a character wildly different from oneself, in styles including Greek tragedy, Shakespearean verse, Restoration comedy, Oscar Wilde’s witty banter, and the “hypertheatre” of Eugene Ionesco, Bertolt Brecht, and contemporary dramatists. 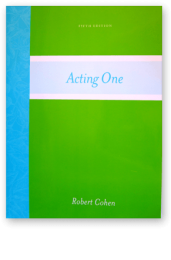 And – which is most important – Cohen shows the links which make such acting emanating directly from the core of realistic acting principles introduced in Acting One. “The way we change ourselves in order to get what we need goes to the heart of Cohen’s teachings on style. “Style,” Cohen writes, “describes real, not fake, behavior: that which is purposeful and not just showy.” In the preface Cohen states, “the goal of the book is easily described: to show you how to extend yourself into a different century, a different way of speaking, a different profession, a different age or gender or philosophy or religious belief, and still be yourself”—in other words, to teach you acting styles as an “extension of yourself” and your character needs, not as an arbitrary way of being. 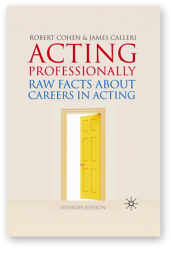 Used as a basic textbook, Advanced Acting will put the young actor on the right path to that goal.” —J.A. Eliason, Backstage/Backstage West.